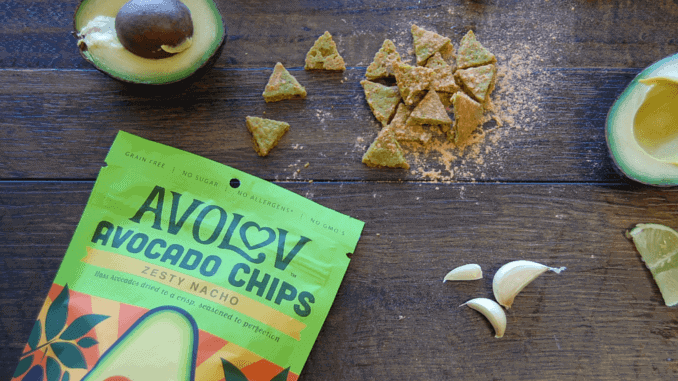 The snack brand AvoLov unveiled its first dried avocado chips at the Expo West in California and the Snacks Expo in Chicago. After two years of development, founder Eric Healy has now succeeded in completely dehydrating avocados. A packet of chips will cost $4.99 USD, which seems to be a competitive price compared to vegetable, banana, or similar chips in Germany. The new startup is only selling the avocado chips on Amazon, but is open to new business partners.